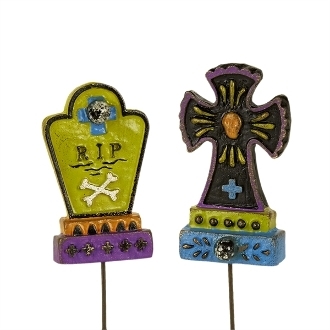 Full Description: Create a spooky Halloween mini garden with these tombstones. Each features a glow-in-the-dark bead, all-weather paint, and hand-painted details. Designed by Genevieve Gail.